Hindustan Motors has introduced the upgraded 2012 Mitsubishi Outlander at a starting price of Rs 20.55 lacs (ex-showroom Delhi). Launched back in 2010, the Outlander has received serious upgrades in the 2012 model. 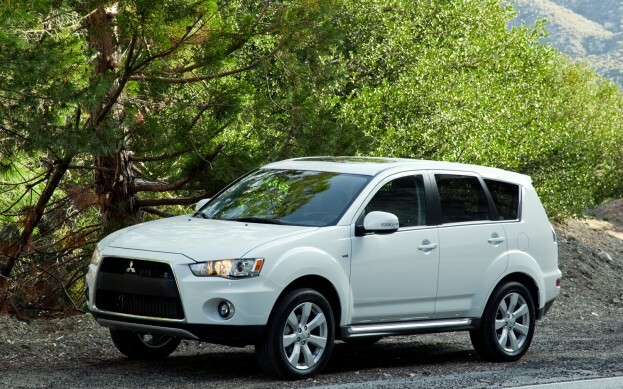 Powering the new Mitsubishi Outlander is a 2.4-litre engine that pumps out 170 PS power. With 226 Nm peak torque, the Outlander is an ideal machine for both on and off-road driving. The key elements of the 2012 Mitsubishi Outlander include features such as keyless operating systems, highly capable Rockford Fosgate premium 710 Watt music system with 6 CD changer and USB compatibility, row seating with tumble function, split tail gate, paddle shifters and cruise control. As a luxury SUV, the Outlander also sports high contrast meter combination, leather upholstery and 3-spoke leather finished steering wheel, with mounted audio controls. The seven-seat SUV includes two additional seats at the rear for a complete family SUV quotient. On the exterior, the fighter-jet inspired front grill harmonizes the aggressive yet stylish look of the vehicle. Complementing the masculine appeal is the HID headlamps with AFS. While on the safety end, the 2012 Outlander features ABS, EBD, along with RISE (Reinforced Impact Safety Evolution) body and dual frontal airbags.